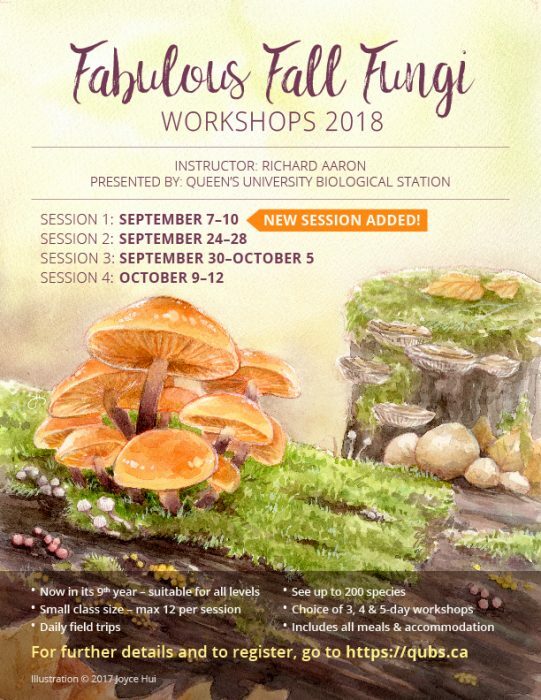 Due to strong demand, a fourth mushroom workshop has been added to the schedule for Richard Aaron’s 2018 Fabulous Fall Fungi Workshops at Queens University Biological Station (QUBS) . 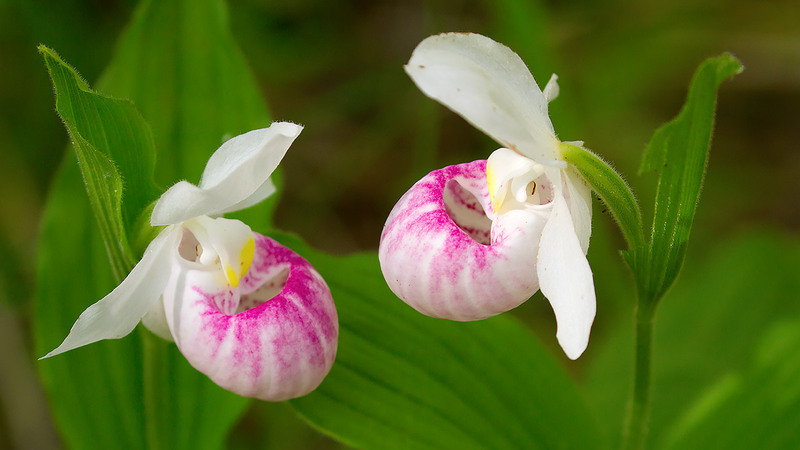 Attend one of these popular fall workshops presented by Queen’s University Biological Station and see up to 200 species of mushrooms and other fungi growing in Southern Ontario. Now in its 9th year, the program is suitable for all levels from beginner to advanced. Activities include daily field trips to collect specimens, working in the classroom to identify finds, and discussions on fungal ecology, natural history, and uses. The registration fee is all-inclusive and a ​ small class size (max 12 students per session) is guaranteed. Location: Queen’s University Biological Station. Further details and registration on their website.